Displaying artwork in the best light possible can help bring the work to its full viewing potential. The important aspects in choosing lighting for art and glass sculpture are often misunderstood. Focusing on type of fixture, energy efficiency, or latest technologies are important, but are secondary when lighting artwork. Bad lighting or incorrect lighting for art can be detrimental to the viewer’s experience with the artwork. Currently, halogen lamps or bulbs are one of the best choices for lighting art and glass. This lighting guide explains a little about “light” and why choosing the right light source can make a difference in how your artwork will “look” to viewers. The light from the sun or “sunlight” is the only direct “natural” light source. Everything else such as a lamp or light bulb is considered an “artificial” light source. Choosing an artificial light source can be daunting because of the choices and varieties of the different types of light sources available today. I am generally concerned with three primary aspects when lighting my glass sculpture and artwork. Secondary concerns such as the “style” of the lamp or fixture, and energy efficiency are important. Making decisions on secondary concerns are much easier once I know my needs based on the three primary aspects. I am going to go over each of my three primary aspects in more detail. This will give some understanding about the scientific principals, psychological, and visual perception of light. I will touch on some different types of artificial light sources such as incandescent bulbs, halogen, compact fluorescent (CFL), and LED. The quality of light has to do with the “spectrum” and “color rendering” of the light source. 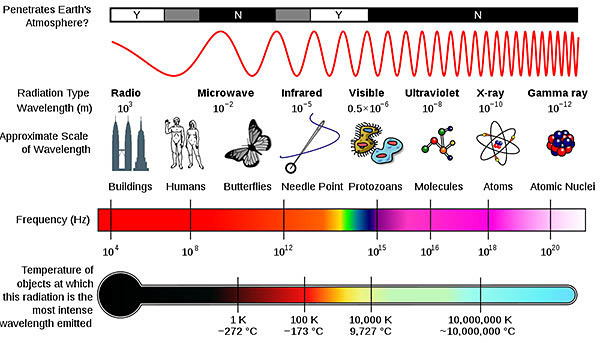 “Visible” light is a small part of the “electromagnetic spectrum“. It is the part the human eye can see. 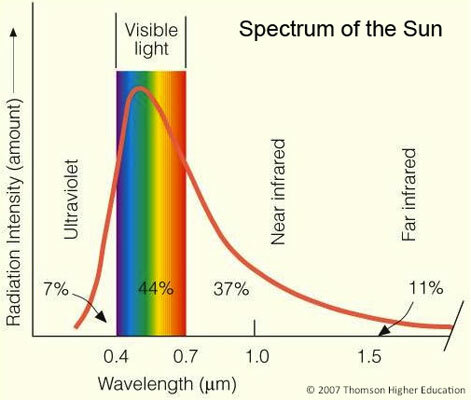 Sunlight has the full spectrum of color “wavelengths” within the “visible” part of the electromagnetic spectrum. Because sunlight has a wide color spectrum, it renders the colors of an object or artwork accurately. Visually, colors look more natural to us when illuminated with sunlight. Skin tones tend to look better in sunlight… Cameras have an easier time rendering colors more accurately in sunlight than from an artificial light source. Artificial light sources can have narrow color spectrums with wave peaks higher in certain parts of their spectrums. Compact fluorescents (CFL) have narrow very peaky waves in their color spectrums. This is part of the reason why the light from fluorescents can be very unpleasing. Skin tones and artwork can look bad in this kind of light. Color temperature is also an important part in the quality of the light. 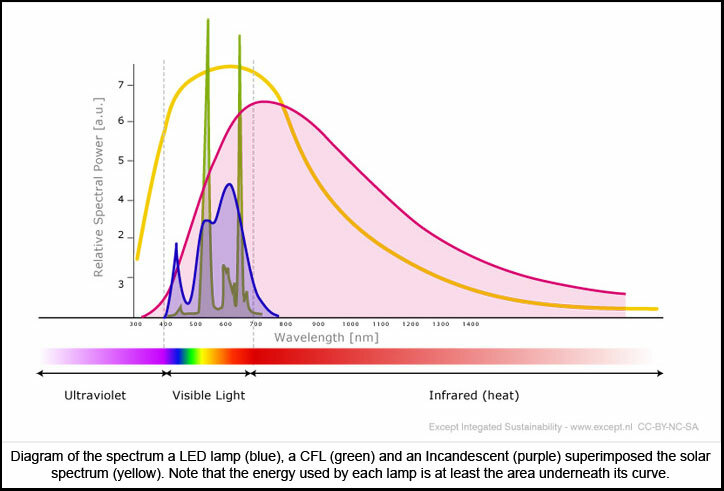 “Color temperature” is a measurement for how we will perceive the general color of the light. 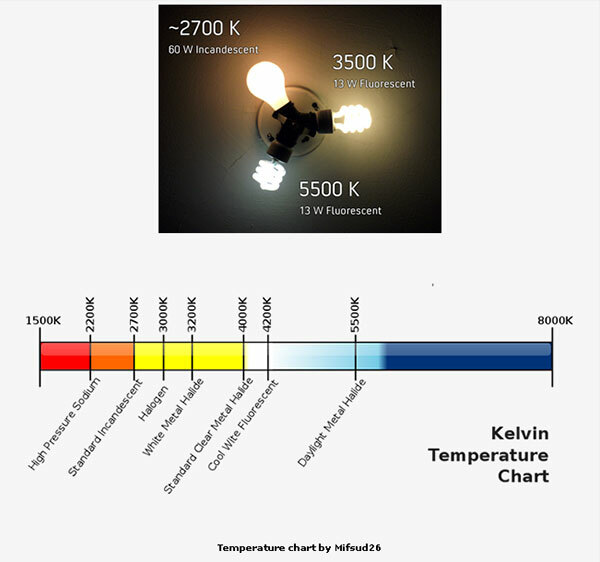 This is expressed in degrees Kelvin. A standard 2700K incandescent bulb will feel like a warm-white. A 5500K fluorescent bulb is considered “cool-white” with a slightly blue light. Understanding the quality of the light from a source is important for good color rendering of artwork and glass sculpture. With poor quality or narrow peaky spectrum, reds can look muddy or the range of colors may be hidden from the viewer. The most common types of “lamps” or “bulbs” used for the purpose of illuminating artwork are incandescent bulbs, halogen, compact fluorescent (CFL), and LEDs. Below I list some of the pros and cons for each. Pros – inexpensive, very good spectrum and color rendering, generally will have a warmer white color. Cons – produces a lot of heat, use a lot of energy, inefficient with a short life span. Pros – excellent color rendering and spectrum, longer lifespan, can be more compact, better control of beam spread. Cons – costs more than incandescent, only slightly more efficient. Pros – energy efficient, long lasting Cons – poor color rendering, contain mercury, not good for lighting artwork in general. Pros – very energy efficient, very long life span, durable Cons – well made models are expensive, poorly made models can have bad color rendering. Currently, I can’t recommend them for illuminating artwork. However, the technology is getting better allowing LEDs to become the best choice in the future. The way we think about how much light a bulb produces has changed in recent years. The standard incandescent bulb is how we use to based the output of light on the amount of energy used… In other words, a 60 watt incandescent bulb gave us an expected amount of light based on 60 watts of energy used. However, with the introduction of the CFL, and the even newer LEDs, we can no longer measure the light output by energy consumption. Lumens have become a better way to measure light output for a light source. Lumens (lm) – In simple terms, this is a measure of the total amount of visible light emitted by a source as perceived by the human eye. 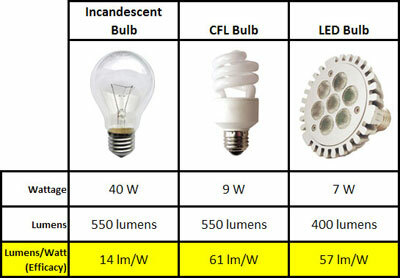 Keep in mind, higher “lumens” with energy efficient lamps (bulbs) just means brighter. The quality of the spectrum may be bad, giving you a bright ugly light. Brighter isn’t always better when lighting certain artwork or glass sculpture. The environment in which the artwork is placed may dictate how much light is needed. Finding a good balance with the light intensity is important. Illuminating from an artificial light source is either “omnidirectional” or “directional”. Standard incandescent bulbs are “omnidirectional” – the light spreads in all directions. A light source such as a MR16 halogen bulb and “PAR” bulbs are directional. Directional lighting incorporates a reflector allowing for the light to be focused in one direction. There are various options for controlling the beam spread of a directional lamp or bulb. These options have two general categories – “spots” and “floods”. The angle of the beam spread is listed in degrees. The smaller the number, the narrower the beam of light will be. “Directional” lighting can add a dynamic feel to an environment or room. I consider directional lighting a top choice for illuminating artwork and glass sculpture. 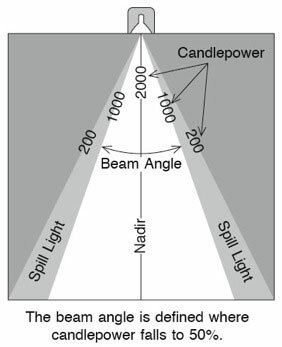 The angle of the beam spread is important. “Spots” are great for highlighting certain areas of a sculpture. “Floods” are great for lighting paintings and larger areas. Currently, I feel lighting for art and glass sculpture will look the best using halogen directional lamps (bulbs). However, I do see a time in the near future when LEDs and newer technologies will become the best option in both quality of light and efficiency. In the video, I demonstrate some techniques I use to light my glass sculpture. I show in the video different lighting situations and what may work best. What I have not discussed in this lighting guide is the “style” of lighting fixture to use. The “style” of lighting fixtures includes track and recessed lighting options. Those options are a personal choice and are easier to make when you understand your needs. Knowing about the quality of light will make the biggest difference in showing your artwork and glass sculpture at its best!